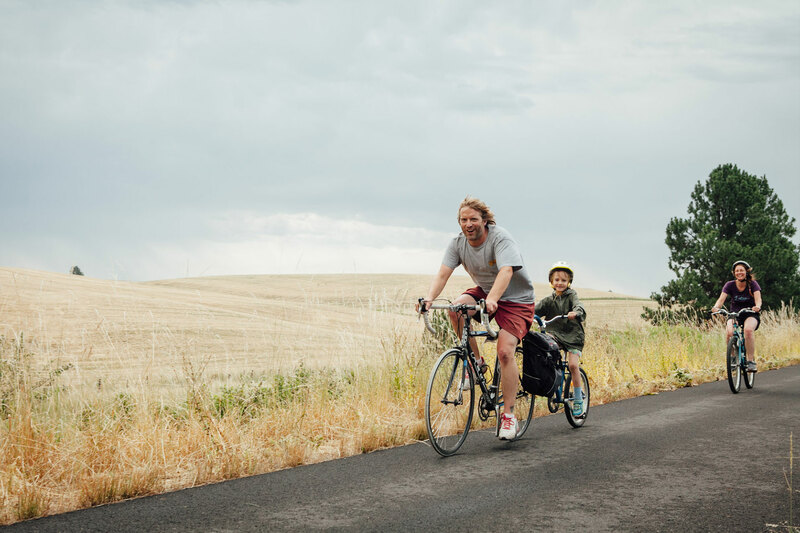 Family Fondo – 15 miles total – This Fondo provides food, hydration, festivities, and transportation for families or people looking for a more casual ride. The two youngest riders to complete the 15 mile course last year were 8 and 9 years old and the oldest was 72 years old. The riding times were between 45 minutes and 3 hours. The Family Fondo start line is at the Nazarene Church on East 7th Street and meets up with the Latah Trail via Blaine Street. The course then goes 13.5 miles east from Moscow to Troy via the Latah Trail. The first aid station is at the half way mark (mile 7) and is the first stop for shuttle pick up. From there, the course finishes at the Troy City Park with the Latah Trail Pancake Feed. The Latah Trail Foundation will be offering guided tours down Bear Creek Canyon to the end of the Latah Trail to show off the newest extension. There will be a shuttle bus between Moscow, Troy, Potlatch, and Pullman roughly every 30 minutes that transports people around the Fondo course. The shuttle stops are at The Nazarene Church in Moscow, NRS East Parking lot in Moscow, Troy City Park in Troy, Locomotive Park in Potlatch, and the Pullman Aid Station at the Terreview street intersection. The shuttle lap takes about 1 hour.